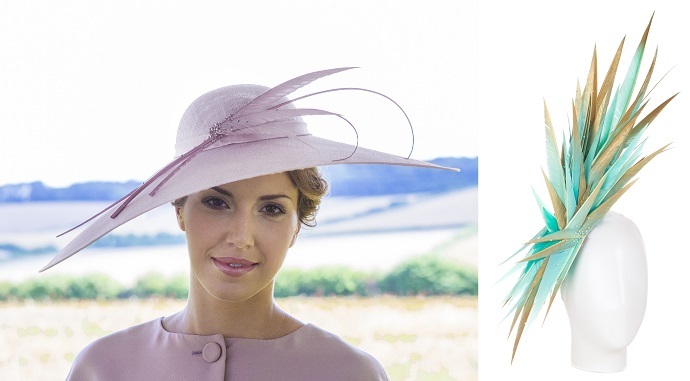 "Where did you get that hat" - is often a very popular question when attending Royal Ascot. 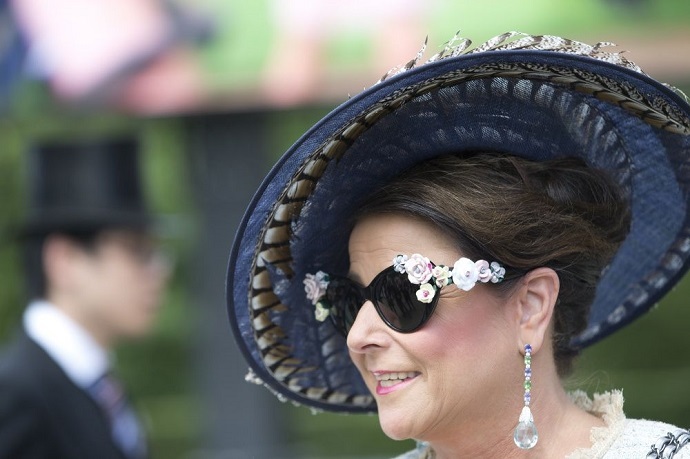 I must say my favourite hat from Royal Ascot 2014 graced the head of an incredibly stylish lady named Vicky Wilson. Vicky teamed her hat with a beautiful Chanel tweed suit accessorized with an outstanding pair of floral sunglasses. 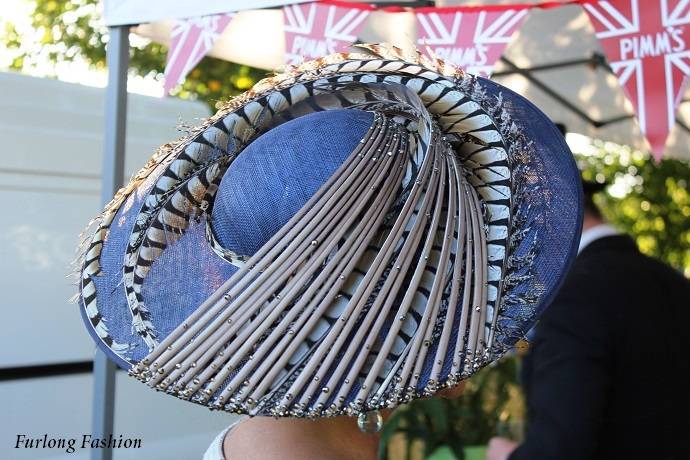 This hat was a masterpiece created by the award winning English milliner Vivien Sheriff. I had been stopped in my tracks by various Vivien Sheriff hats, in previous years at Glorious Goodwood and Royal Ascot. The intricacy of the piece with its hand curled quills covered in Swarovski crystals alongside the beautiful feathers circling the underside of the brim - really did make people stop and gaze in admiration. Vivien first traded in the finest vintage textiles from around the world, before deciding to venture into millinery in 2004. Vivien comments - "The company was founded on a desire to design the most beautiful and visually balanced headwear" - this sentiment definitely still holds true to this day. This year marks the tenth anniversary of Vivien Sheriff, and what an incredible ten years it has been. It was the Royal wedding that officially put Vivien Sheriff firmly on the head wear map and fast tracked her to millinery stardom. Being named by Times newspaper as the Royal Weddings No 1 millinery designer, with at least fifty of the guests choosing her fabulous creations. When Kate Middleton appeared at her first official engagement as the newly titled Duchess of Cambridge; wearing a Vivien Sheriff creation, we knew she was officially here to stay. Vivien Sheriff is known for her sculptural and vibrantly styled craftsmanship, whilst blending classic English heritage with funky modern design. Vivien Sheriff Hats have adorned many heads, and is not just restricted to royalty and the high society. Vivien's rural Wiltshire studio is host to many brides and their mothers, along with racegoers from around the world looking for that something special to stand out from the crowd. The collection ranges from the discrete and delicate to the fabulously flamboyant, thus enabling clients of all generations to find the perfect hat to suit their needs. Vivien Sheriff have recently installed a pop up shop at Beulah store in Belgravia which will be open until the end of July. 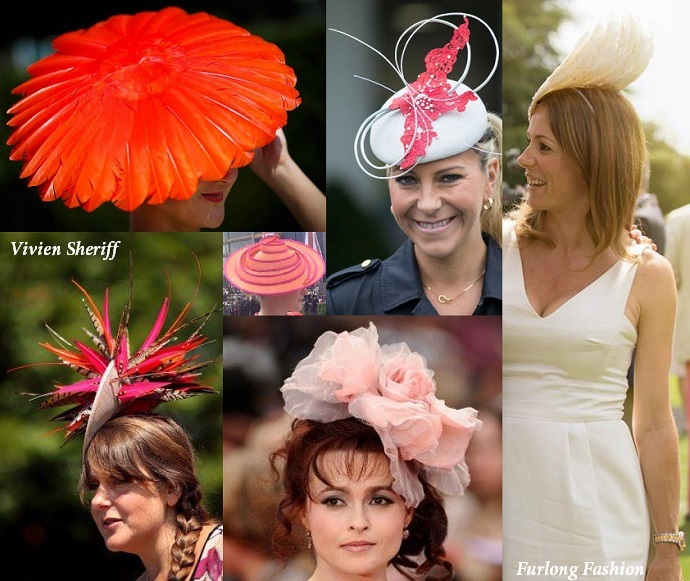 They will also be holding a special pop-up shop open evening on Wed 10th June (6-8pm) where customers can drop in and be race day-ready with expert hat styling tips from the Vivien Sheriff team. Royal Ascot 2015 will see Vivien Sheriff and her team attending Royal Ascot Ladies Day in true style. They will be aboard the Belmond Northern Belle, sister train to the legendary Venice Simplon - Orient Express, and will be departing from Manchester, Birmingham and Crewe on route to Royal Ascot. The elegant carriage, inspired by 1930’s art deco, is the perfect foil and the start of what will be one of the most glamorous days of the year. I personally can't wait to hear all about it. I am especially lucky this year to be wearing one of Vivien's stunning designs to Royal Ascot on day one! With less than two weeks to wait the excitement is definitely starting to kick in. Please visit our facebook and twitter pages for continued Royal Ascot coverage in the lead up and throughout Royal Ascot.